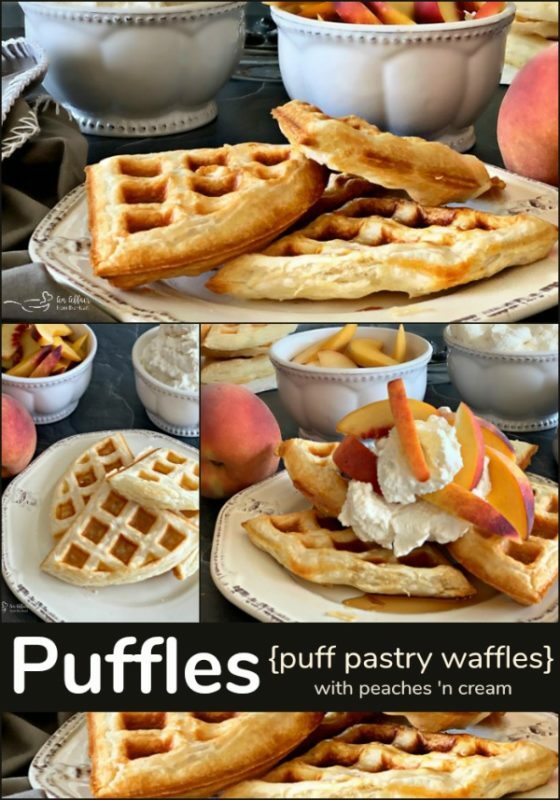 Puffles - Puff Pastry Waffles - light and flaky pastry waffles. If you love pastries, and you love waffles, you are going to think these PUFFLES are the best thing ever invented! 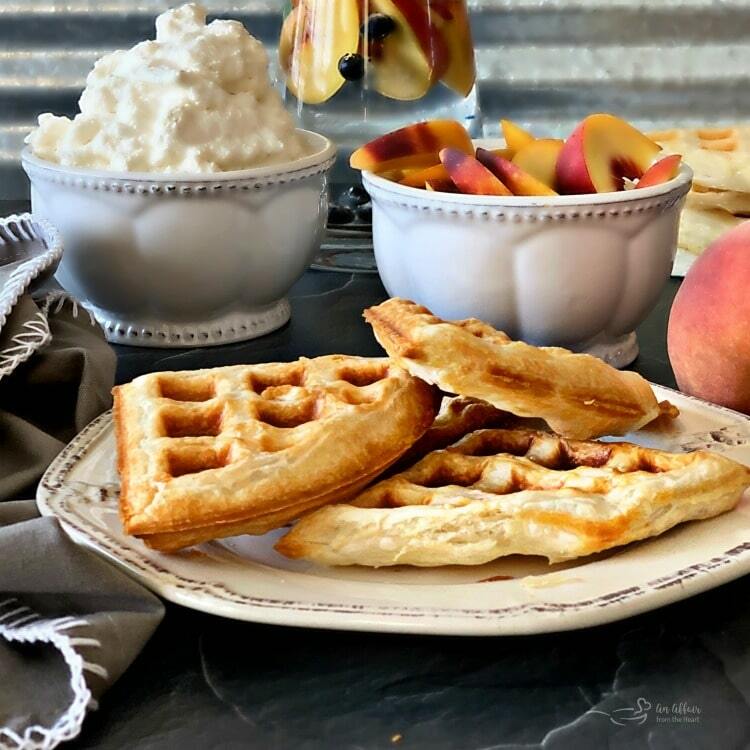 Puff Pastry Waffles are the best of both worlds! What are Puffles you ask? Well Puffles are Puff Pastry Waffles!! Quite honestly the very best of two worlds. Prepare a Belgian waffle using puff pastry and let the topping creations swim through your mind! These Puffles are my second recipe for #EasterBrunchWeek. 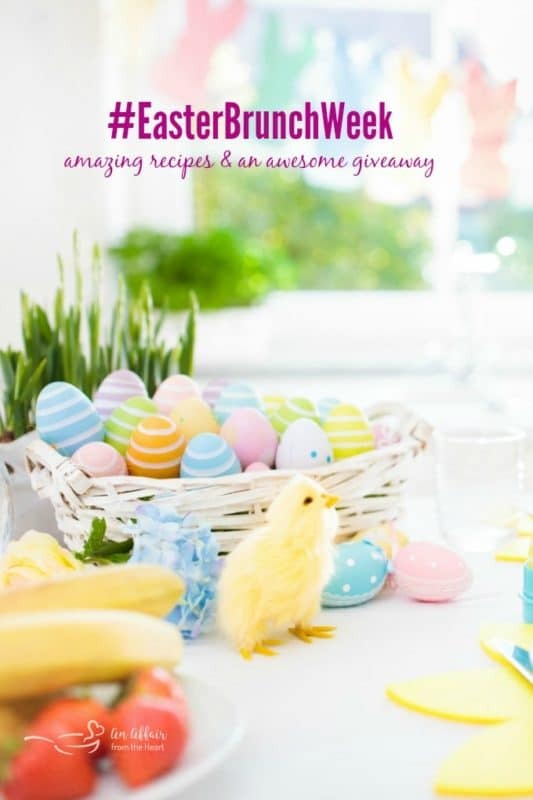 This week, a bunch of other bloggers and myself are sharing fantastic recipes with you to throw a stellar Easter brunch. But I hope that these recipes will serve you well beyond Easter! On Monday, I shared a recipe for Pear Bread. You have to pop over and check out the recipe and the gorgeous Wild Flower Loaf pan I baked it in! In addition to great recipes, you can enter to win a magnificent prize package, from our generous sponsors, valued at $200! Sponsored by Eggland’s Best, GROSCHE International, Hamilton Beach, Nordic Ware, Rhodes Bread, Silpat, Stonyfield and Wewalka. Scroll down to the end of this post to enter to win today! Today’s post is sponsored by three lovely sponsors. 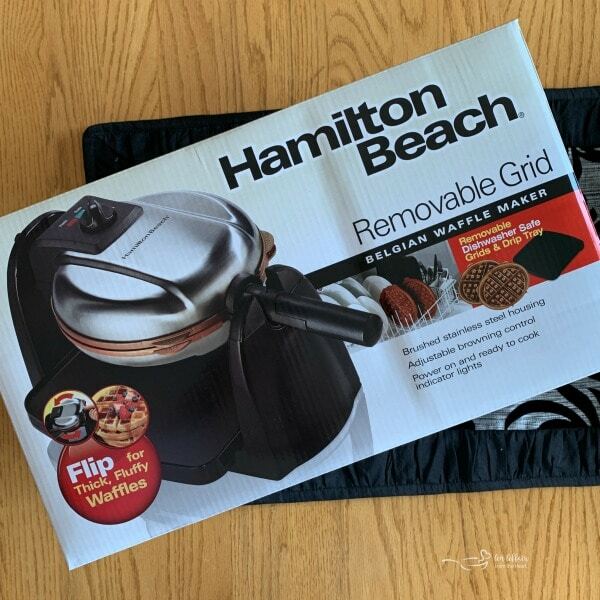 Hamilton Beach sent us two appliances. An egg cooker that has really come in handy. I can’t boil an egg that peels to save my soul. 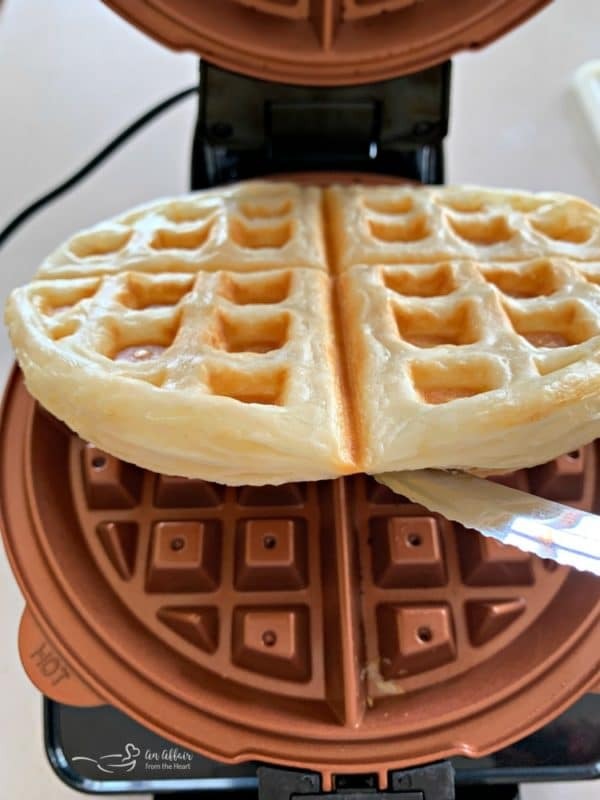 And this Flip Belgian Waffle Maker. 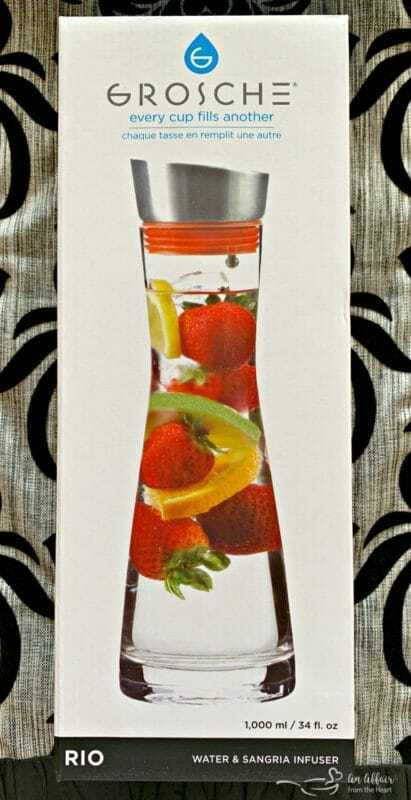 Grosche International sent each of us this Water & Sangria Infuser, and a gorgeous water bottle. Every GROSCHE product sold helps provide safe water for people in need, and champions social and environmental causes for you to further your positive impact in the world. This recipe is super simple, and makes a great breakfast for two. 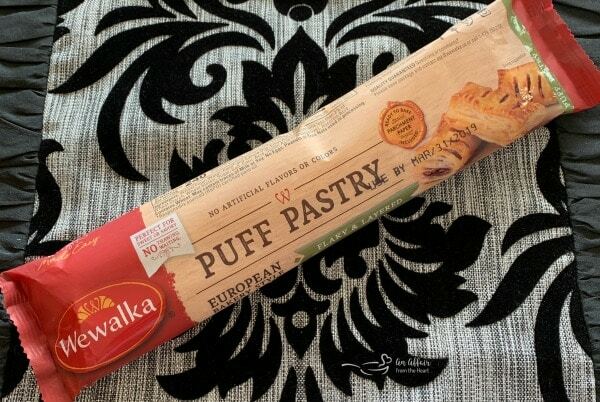 One sheet of Wewalka puff pastry makes two Belgian waffles. 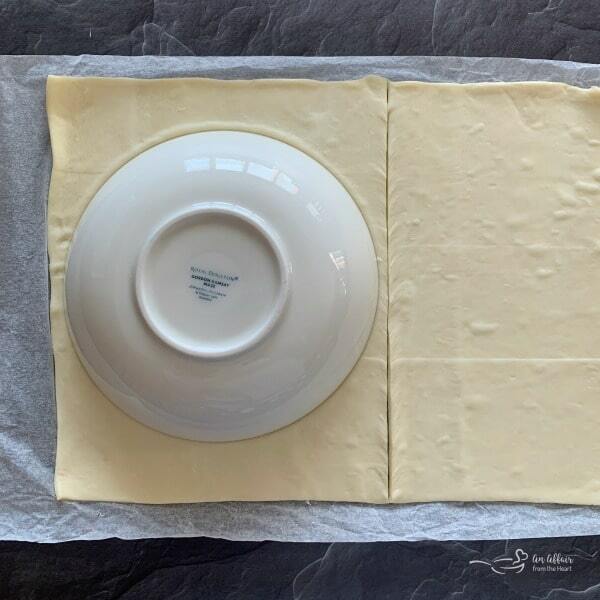 Use a rolling pin to spread the pastry dough into a nice even rectangle. It even comes on it’s own parchment paper! I used a basic cereal bowl to cut around to make a circle that fit. Keep those extra pieces!! Place it on the preheated Hamilton Beach Flip Belgian Waffle Maker. I cooked it for 4 minutes, flipped it, and cooked it for 4 minutes more. Of course you don’t need to top them with anything. They would be amazing with just syrup. But those peaches ‘n cream?? Delicious!! What do you say we make up breakfast for two with some Puffles – Puff Pastry Waffles? Gently roll out puff pastry and using a rolling pin spread into an even rectangle. Combine cream, vanilla and sugar in your mixer to make whipped cream. This makes a pretty generous amount for two people. Feel free to cut it in half if you prefer less. 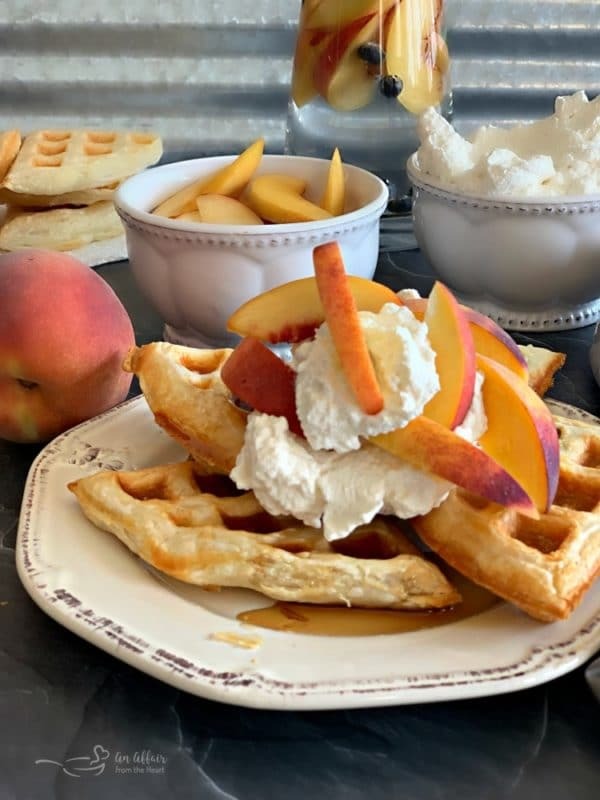 Plate puffles, top with fresh peaches, whipped cream and warm maple syrup. Wow, puff pastry in waffles form. I am totally sold! This is such an amazing idea for breakfast. You know we have a waffle maker, and I’m always looking for new and exciting ways to make waffles. I have to admit, I never thought of doing it with puff pastry. Such a good idea and it couldn’t get any easier. These puffles look so amazing! And I love the name too! Love how light and fluffy these are! These will be a hit for our Easter brunch, indeed! Why didn’t I think of doing this! Superb idea..surely going to try it! Puffles?! Greatest name ever! And I can’t wait to make this! Seriously, puff pastry waffles sound so amazing! What a brilliant idea! 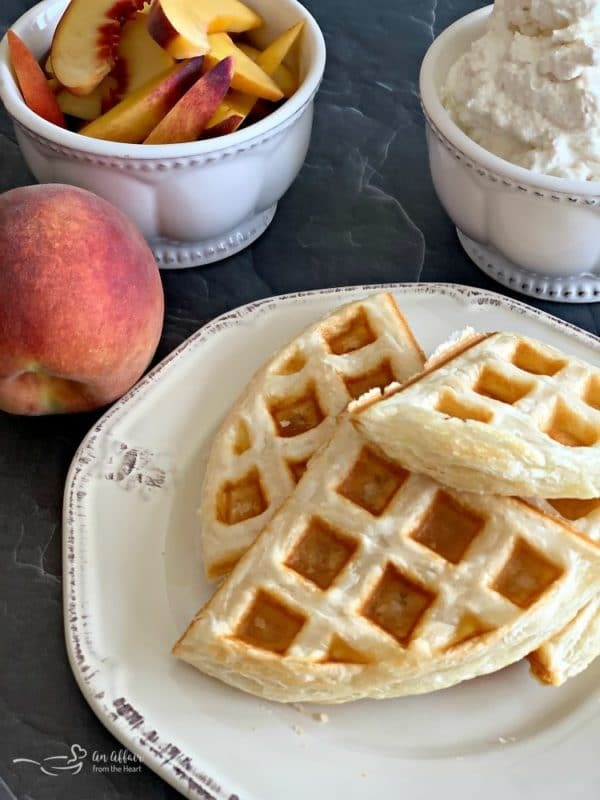 How cool and such a super easy breakfast! No mixing up batter is my kind of brunch. Making this for Alan and me this weekend. I love this recipe! It’s so simple and yet so super creative! Nice work. I saw it on Facebook and knew I had to make it! This is such an amazing idea and delicious too. Makes everything so simple and perfect. Stop it!! 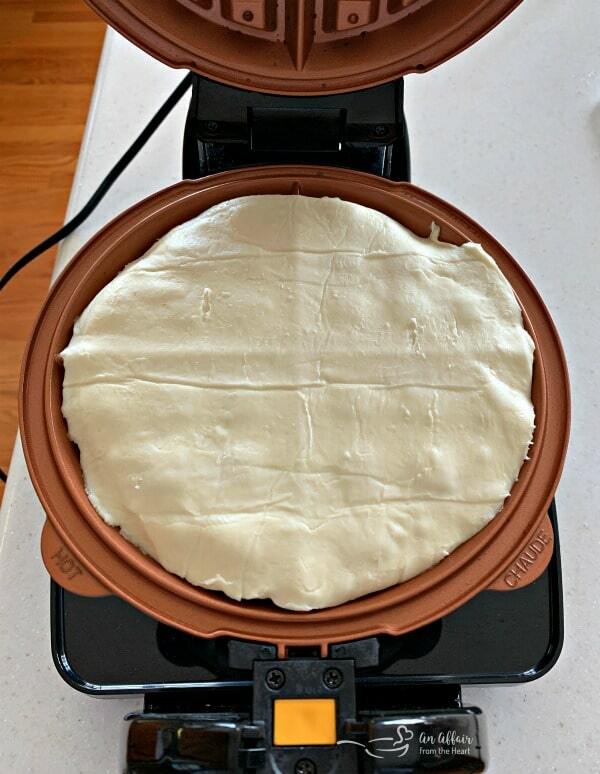 Why have I never thought of puff pastry in my waffle maker. It’s so basic and sounds so perfect!!! And what a fun selection of goodies to win!! This is brilliant! I’m always looking for a quick way to have waffles, but hate frozen waffles. This will totally be a new brunch fix! This is a genius idea! Looks so delicious and perfect for weekend brunch! Love the name! These are right up my alley. Yummy! These look light, airy and delicious! 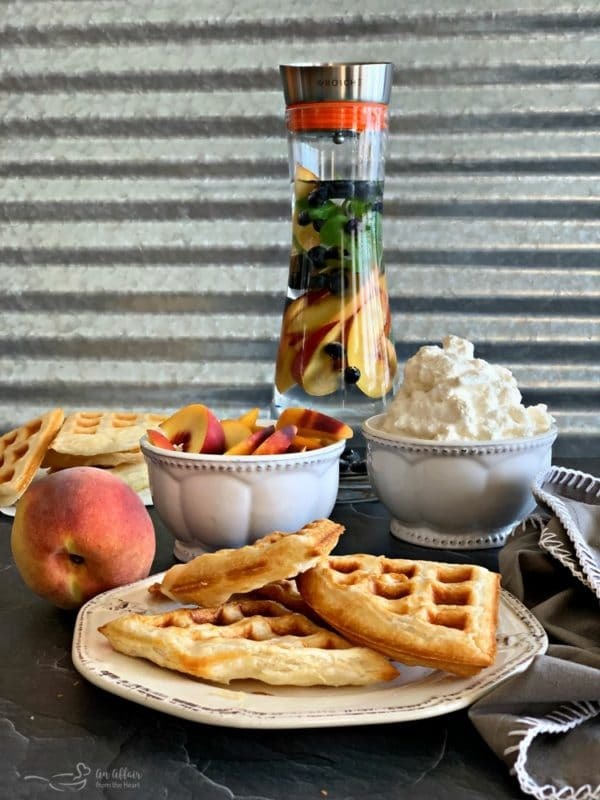 What a wonderfully easy recipe, with peaches and cream? Swooning! What a brilliant idea! I have a waffle maker and it’s hiding in a cabinet somewhere. I’ll definitely be on a mission to pull it out so we can make these puffles! These are seriously Awesome! What a great idea and the peaches and cream are a great choice to go with these Puffles!